FLORIDA WARMTH & LUXURY! PRICE REDUCTION NOW ONLY $1,599,900.00 GOOD TIL MAY 6, 2019! 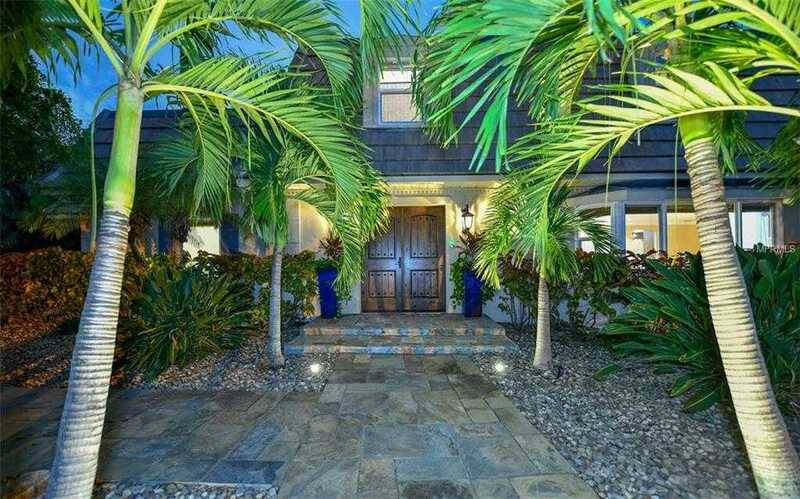 PHENOMENAL OPPORTUNITY ON THIS GORGEOUS BIRD KEY ISLAND HOME! Impeccable Craftsmanship in highly desirable Sarasota 8217;s BIRD KEY. This beautiful and immaculate 4 bedroom 3.5 bath 3,800 SF home was EXTENSIVELY RENOVATED in 2014 with the finest materials design and finishes. Energy-efficient SMART HOME fully automated. Features temperature lighting Alexa Echo & Wink Technology controllable from your SMART PHONE remotely. Stunning ACASIA HARDWOOD & matching ceramic tile flooring throughout the home. Inviting CHEF'S KITCHEN with stainless steel appliances & glass back splash. TWO MASTER SUITES with impressive bathrooms that include Japanese soaking tub & large closets. BEACH ENTRY gas-heated pool/spa with rapid heating controllable from smart phone. OUTDOOR KITCHEN with gas grill. Enticing PUB/MEDIA ROOM with Radiant wood-burning fireplace, attractive stone wall & 300+ bottle WINE Refrigerator. HURRICANE RATED windows and sliders. NEW TILE ROOF in 2014. Beautiful stone terrace & MAINTENANCE FREE Landscaping with specialty lighting, fully fenced for privacy. LOW HOA is only $600 per year. Enviable location in Bird Key with short distance to BIRD KEY YACHT CLUB for social events fitness dining & boating. Minutes to DOWNTOWN SARASOTA & ST. ARMAND'S CIRCLE for cultural events, shopping, entertainment, dining. Beautiful LIDO BEACH just 2.5 miles away. These are just few of the many amenities this impressive home has. A MUST SEE! Please, send me more information on this property: MLS# A4414178 – $1,599,900 – 440 Pheasant Dr, Sarasota, FL 34236.